Of the many church chairs for sale that we offer, the Mixed Tan fabric is one of our most popular fabric choices. The 18.5 inch seat of this attractive sanctuary chair is padded with 3 inches of 2 lb. dual density polyurethane foam and the padded back is cut away for lumbar support, ensuring superior comfort. 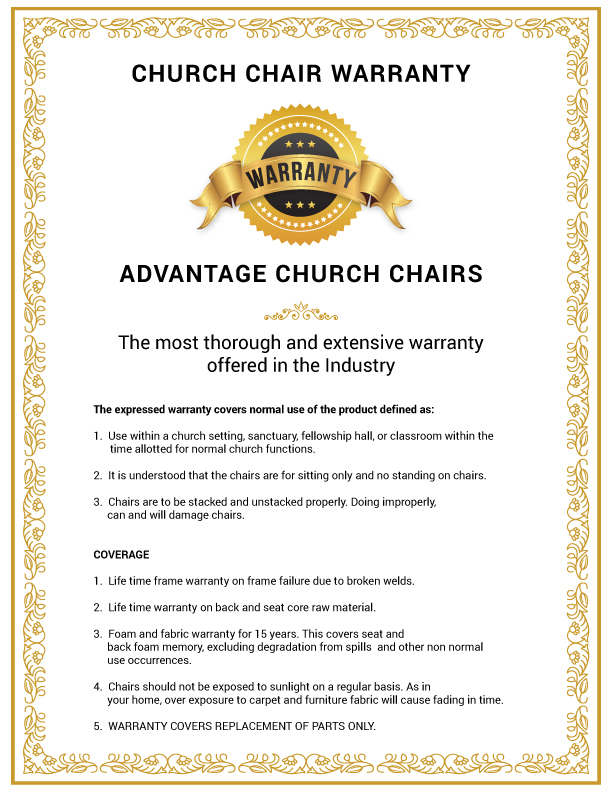 To ensure ease of installation for our customers, this church chair, as well as the remainder of our sanctuary chairs, are shipped fully assembled. Our attractive, stackable church chairs offer more than just a pretty face: each one is also built to last. The pre-installed ganging devices on each sanctuary chair will enable you to lock chairs together to form neat, even rows. This 18.5 inch padded church chair is supported by a beautiful, strong 16 gauge frame in a gold vein powder coated finish. We stand behind the craftsmanship of our church chair frames by offering a lifetime guarantee against faulty welding. 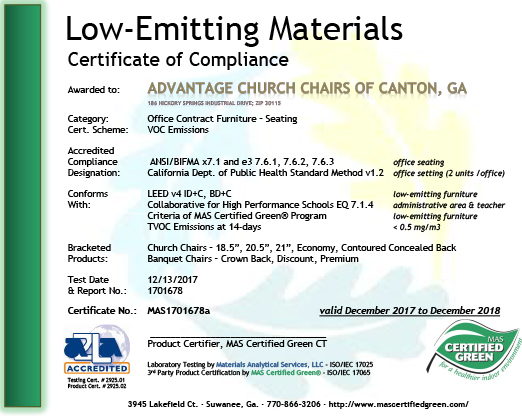 Call Advantage Church Chairs toll-free today! We'd love to provide you with the best prices on church seating, Sunday School furniture, banquet tables & chairs, and more!